Dealing with Allergic Rhinitis can be difficult, especially if you have no idea where to start. For once, you can always opt to avoid allergens – but given their miniscule size, it would be hard to do so. 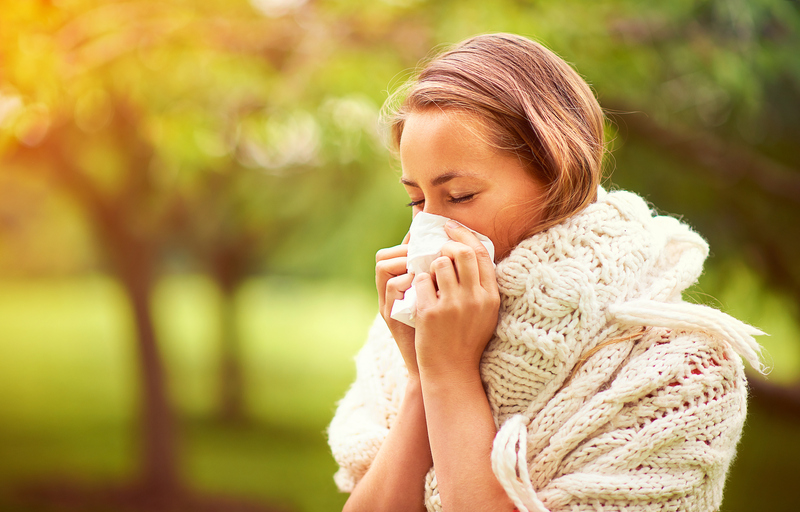 Sometimes, avoiding allergens alone isn’t enough to help ease your symptoms as well. There are other environmental factors and external triggers which may be the reason behind your allergic reaction. 1. Clear nasal passages with saline solution (or salt water). This is an effective home remedy which is famous for treating a stuffy nose. There are store-brought saline spray available at several drugstores, but you can also easily make one at home. Combine 1 cup of warm water, a pinch of baking soda, and ½ teaspoon of salt. This saline nasal spray is ideally to be used around 3 to 4 times daily. 2. Use a humidifier at home. In managing mild sinus infections, having a humidifier at home can be a lifesaver at times. The device adds humidity to the air which is good for sinus health. If the air is too dry, sinuses and the clogged mucus in your nose cannot flow properly. The sinuses also won’t drain well as they normally should. 3. Drink plenty of water. By staying hydrated and drinking plenty of fluids, the mucus buildup in your nasal passages will grow thinner – allowing congested sinuses to easily drain. Drinking more water on the daily, for example, can help relieve the pressure attributed to having a stuffy nose. Other than water, warm beverages are also effective in opening up congested sinuses. If you’re looking for something different, help yourself to steamy cups of tea! Cigarette smoke is said to affect the lining of your sinuses, and is further notorious for making your sinus membranes to swell. This is considered to be a leading cause of acute/chronic sinusitis. If you’re seeking to relieve the symptoms you’re suffering from an allergic rhinitis, you’re best off staying away from the presence of tobacco smoke. If your friends or colleagues are on a smoke break, allow yourself to enjoy a quick stroll instead. Breathe in the fresh air! 5. Try OTC allergy medicines. Allergic rhinitis is generally an allergic reaction. In order to ease the symptoms, you can try taking over-the-counter allergy medicines. There are several antihistamines and other allergy drugs which may help you deal with the condition efficiently – such as easing your runny nose, itching, watery eyes, and excessive sneezing. You can also buy them even without a doctor’s prescription.